The UAE has had legislation in place to protect consumers for quite a few years but the details are not as well known as they might be so this article is an overview of the law and your rights when purchasing goods and services. The main legislation is UAE Federal Law 24 of 2006 – On Consumer Protection, so it has been around for some time. A few years ago, the Department of Economic Development started a programme to improve knowledge and signs started appearing in stores. While the larger retailers, and the more switched on smaller stores and companies, got to grips with the rules there are still far too many cases where store owners or their staff are either unaware of the laws, or disregard them, and the same goes for some service providers. Goods must be ‘fit for purpose’. This means that they must be of a quality that it would be reasonable given specifications and price. Items must match their description and advertising. Any service must be carried out with appropriate skill and care. Any materials used in connection with a service should meet agreed customer requirements. If an item is faulty the supplier must ‘refund, repair or replace’ as appropriate and depending on the nature of the item. A service must be supplied again or if not possible, a refund made. 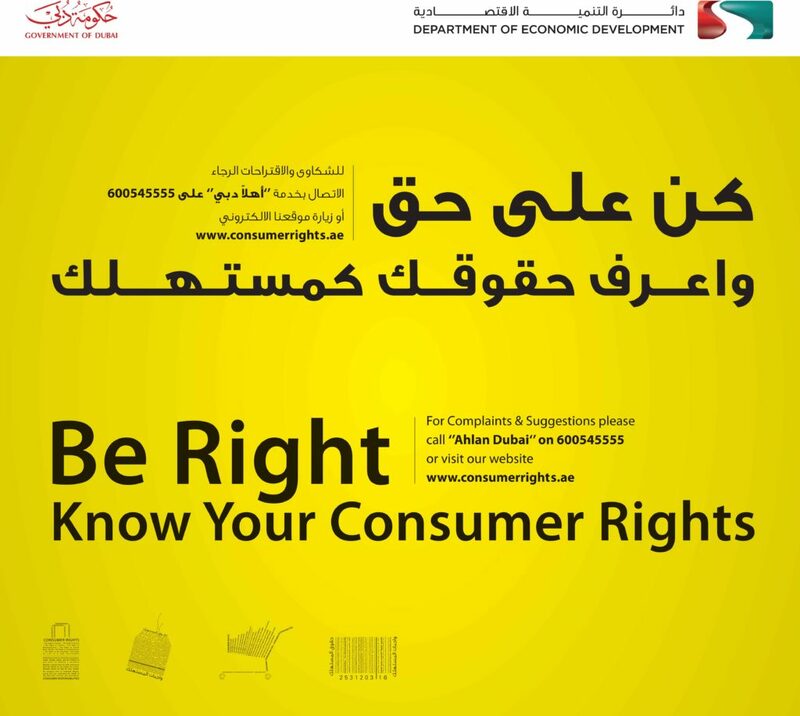 All consumers have the right to a suitable remedy of there is a problem with any goods or services. 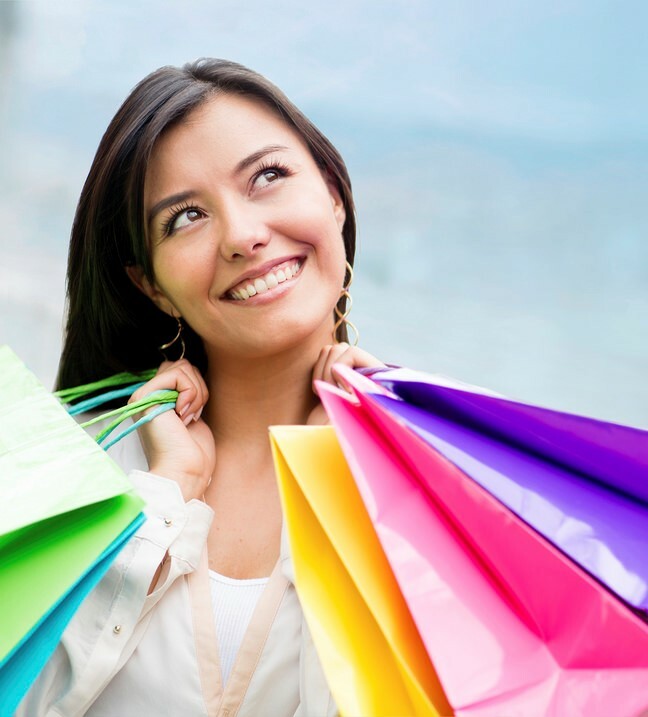 All stores are obliged to display their return and refund policy. The law does not include the right to change an item and get a refund, or to exchange it, if you have simply changed your mind. Quite a few larger retailers offer this as a benefit but no company is obliged to do so. The law doesn’t specify a time frame for refunds but this is where common sense must be applied. For example, you can expect to wear a pair of shoes a few times without having an issue so simply having worn an item doesn’t automatically exempt a retailer from providing a refund. The legislation applies to physical stores and companies, and also to online retailers and services in the UAE. If a retailer displays or advertises a price for an item, they must charge no more than that figure for the identical item, even if it is incorrect. The consumer should not be disadvantaged by company error. The law applies equally during sales although sale items can be ‘sold as seen’. If an item is discounted as it is damaged in some way, then you cannot return it due to that particular flaw. 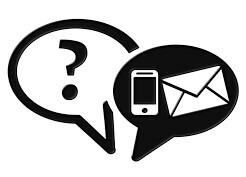 The onus is on the customer to enquire about return policies for any store and you must provide receipts when returning any item. If a retailer or company does not comply with consumer protection law when there is a problem then you have a right to complain but it is only fair to give a company a chance to put things right. In the first instance I always recommend escalating the issue with management, bearing in mind that other staff may not have the authority to take action. Firm but polite insistence is the way to go and it is no bad thing to point out that you are aware of the law in these matters. If this does not elicit a suitable response or course of action then naturally you may want to take it further. Complaints can be escalated to the authorities and they will then decide if the law has been broken and what steps need to be taken. The Department of Economic Development deals with consumer rights issues for the emirates of Abu Dhabi, Dubai, Ajman and Ras Al Khaimah. There is a UAE- wide Consumer hotline number, which is 600 522 225. This is available 8.30am to 10pm Saturday to Thursday. 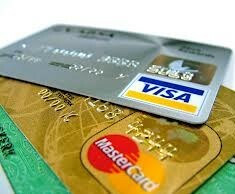 Some UAE credit cards include purchase protection and this can safeguard purchases for up to 90 days from purchase. Note that this is different to credit shield and similar plans that have additional premiums and a different purpose. The level of cover depends on your card. The fancier the card, the higher the cover level but few are very high with limits varying from around AED 7,000 up for AED 25,000 for the more premium cards. Not only is there a limit per item, there will be a total annual cover limit and also exclusions, such as for perishable items. To find out what cover your own credit cards provide you will need to check the terms and conditions or ask for confirmation from your bank. I write articles such as this one as part of the holistic personal financial planning service and that I provide to expats, and the general consumer, financial and legal information that I provide in The National newspaper. If I can assist you with any personal financial issues, please contact me at keren@holbornassets.com You will find many other useful articles on this website. This topic was covered in my Everything UAE segment on Capital Radio UAE on 31st March and the podcast of that show can be found in this link for 28 days after broadcast. This entry was posted in Capital Radio UAE, General financial information, Need to know and tagged Abu Dhabi, British Expats Dubai, Capital Radio UAE, consumer advice, consumer protection, currency exchange, Dubai, Dubai financial advice, Everything UAE, Financial planning for women, Independent financial advice in the UAE, independent financial adviser, Keren Bobker, On Your Side, professional advice, UAE, UAE law. Bookmark the permalink.